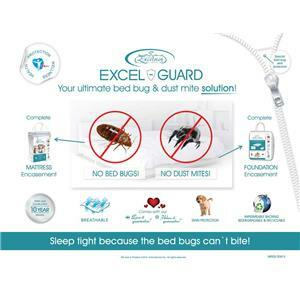 The Excel Guard foundation encasement is designed so you can sleep tight because it won't let the bed bugs bite! 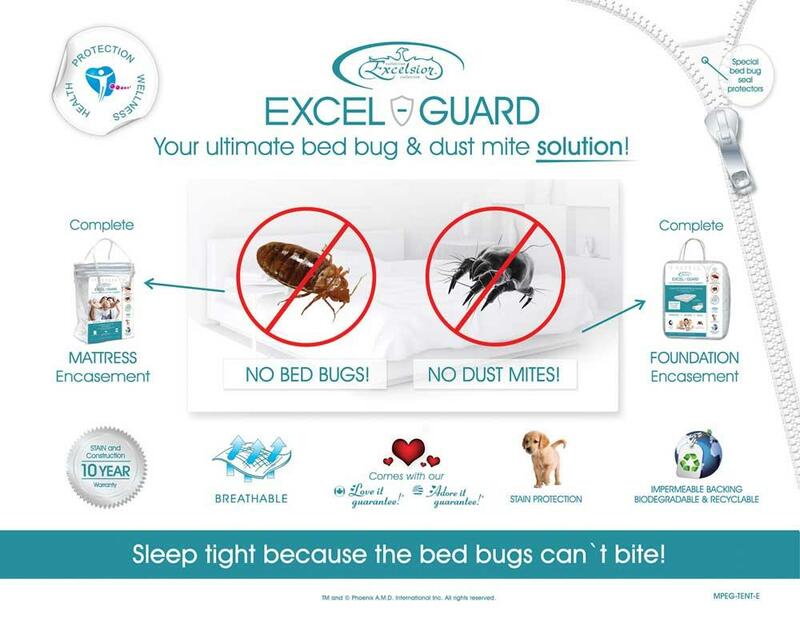 • The unique protective backing prevents any dust mites or bed bugs from getting through and it also prevents any fluids from getting through because it is waterproof, but also very breathable. The Excel Guard 9" Twin Foundation Encasement by Excelsior at SlumberWorld in the Honolulu, Aiea, Hilo, Kailua-Kona, Maui, Hawaii area. Product availability may vary. Contact us for the most current availability on this product. All mattress manufacturers recommend the use of a protector on your new mattress. This is due to the fact that if your mattress is not kept in pristine condition, it can void the manufacturer's warranty. 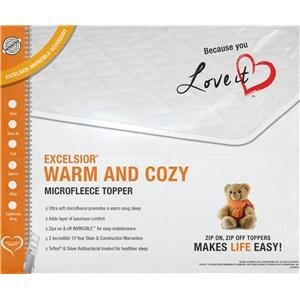 In addition to protecting your mattress, the use of a topper can add comfort and convenience for your lifestyle. The Excel Guard collection is a great option if you are looking for Bedding in the Honolulu, Aiea, Hilo, Kailua-Kona, Maui, Hawaii area. Browse other items in the Excel Guard collection from SlumberWorld in the Honolulu, Aiea, Hilo, Kailua-Kona, Maui, Hawaii area.